Jelly Belly was founded all the way in 1898 and began making them in 1976. Fast forward to 2018 and Jelly Belly products are sold all over the world and the company remains family owned by the fourth, fifth and sixth generations of the confectionery-making family. Last month Jelly Belly popped the cork on a brand new flavour, introducing Sparkling Wine jelly beans! The taste of sparkling wine packs a delightful punch in this non-alcoholic sweet, it's really something quite different. The light and fruity flavour with the pale gold, jewel like colour mimics the appearance of a freshly poured glass of sparkling wine. 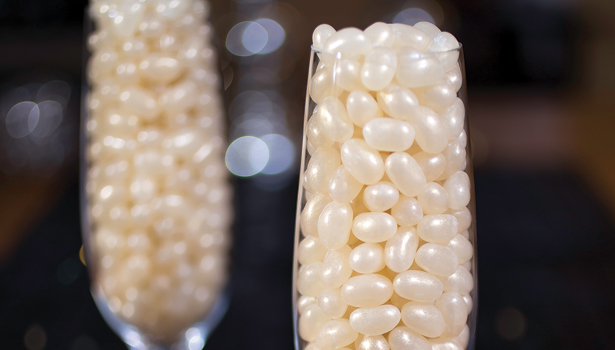 These sparkling wine flavoured jelly beans are presented nicely in a very cute miniature plastic wine bottle. They'd make an ideal romantic gift or treat and would be perfect for party gifts and wedding favours too. I was sent a couple to try out and they've been a lovely treat to enjoy whilst watching a movie in the evening. 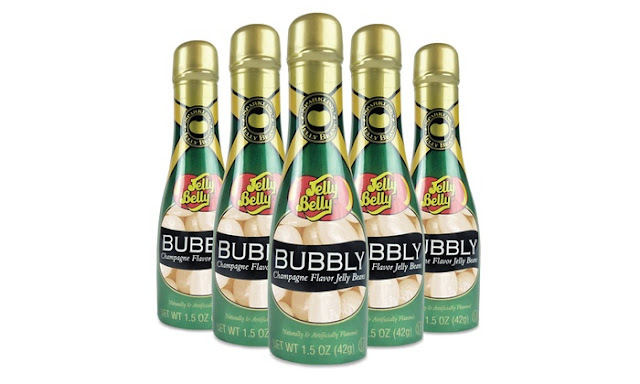 I've teamed up with Jelly Belly to give away five bottles of Jelly Belly Sparkling Wine jelly beans to one lucky winner. To enter simply use the Gleam form below! Good luck and don't forget to enter my other blog competitions. Following on in this theme I think champagne and pears would be a great flavour. Just for something totally different, and because it's my favourite food, cheese! A Bailey's flavour would be nice. A beer one would be pretty good! Maybe to continue the theme a red wine flavour? Wow this is something new, how about Gin and Tonic flavour next?. How about Advocaat or Snowball flavour? Hmmm do they do a very berry? One with all the berries mixed in? I'd love a watermelon flavour! An Archers Peach Schnapps flavour! Do you remember those retro sweets Refreshers? That'd work in jelly bean form, methinks. In fact, they should think about a Special Edition range of "retro sweets" flavours. I actually can't think of a flavour that they don't actually do! It would have to be something crazy like cheese and onion and, let's face it, nobody wants that! how about gin and tonic! Another vote for a cider bean. I'd love a Malibu or piña colada one. Brandy Alexander. Love that creamy chocolate and brandy combination. A pear drop flavour would be amazing . Fab giveaway thanks for the chance. Gin and Tonic......if there isn't one already!! It got to be chilli. Espresso Martini would be nice!